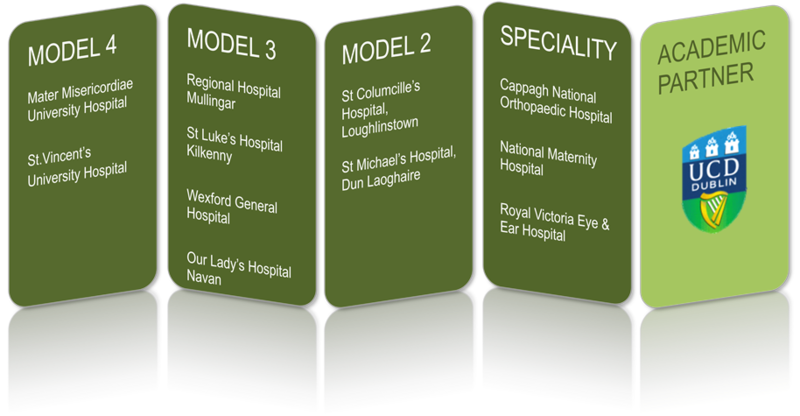 Ireland East Hospital Group is an organisation of 11 hospitals working together to deliver world-class healthcare. The Ireland East Hospital Group (IEHG) is Ireland’s largest hospital network with a unique profile of local services and focused tertiary specialties. Department, one has a 12-hour urgent care centre and another hospital operates an Acute Medical Assessment / Local Injuries Unit. Our hospitals are among the best in Ireland for quality of care, medical education, healthcare research, safety and clinical performance delivered through a mix of Voluntary, Independent and Statutory hospitals. Our hospitals currently provide a wide variety of specialties on a national, regional or local level to different patient categories, which in the future through collaboration and working closely together will allow integration and improved patient flow across the continuum of care. This will enable our Hospital services within the Group to deliver high-quality patient care in the most cost-effective manner. 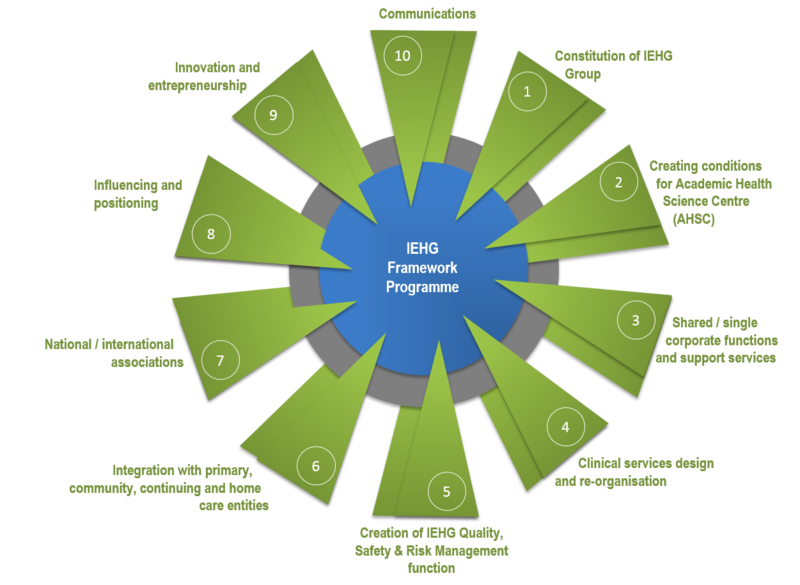 A core objective of the IEHG is to develop an Academic Health Science Centre, where education and research contribute to patient care and well-being. Internationally, such centres have scored well ahead of non-academic centres for patient outcomes and safety. Academic Health Science Centres also attract leading healthcare professionals and offer excellent training, adopt new technologies and health systems improvements rapidly, and participate in a global effort to advance healthcare. The IEHG builds on the Dublin Academic Medical Centre, an incorporated not-for-profit partnership established in 2007 between UCD and its two affiliated university hospitals, Mater Misericordiae University Hospital and St Vincent's University Hospital, placing the Dublin Academic Medical Centre at the heart of its network of hospitals.